On the eve of Sukkot, we are happy to congratulate the dozens of new families that are joining the Jewish settlement of Ir David these days. We salute the Zionist work of those who take part in this mission. Strengthening Jewish presence in Jerusalem is the challenge for all of us, and by your act of settlement you make us all stand taller. Together, we will welcome the pilgrims who are visiting on the holiday. We appreciate and endear you. Yadlin and his co-signers are, in effect, endorsing the sacrifice of Israel’s future at the altar of Elad. This is the right-wing organization that for decades has been the engine behind settlement in Silwan—an enterprise that has historically been and continues to be especially problematic politically, morally, and legally. While recently Elad has endeavored to transform itself into a “mainstream” organization associated with cultural and touristic activities, its raison d’etre has not changed: to create facts on the ground that prevent a two-state solution and to establish an exclusionary, Jewish/Israeli hegemony in the heart of Palestinian East Jerusalem. Peace Parsha: What’s in a Name? As we begin the Torah anew, we are reminded once again of the power of names. God calls the light “Day” and the darkness “Night” (Gen. 1:5); God then hands over this divine prerogative to Adam, having him name all the animals and, ultimately, Eve (2:19-23). Two parshiyot later, an angel instructs Hagar what to name her son, she responds by naming God (16:11,13), and God changes Abram and Sarai’s names (17:5,15). Names, clearly, have power. For a holiday change of pace, Alpher discusses some recent books about the Israel-Arab dispute, starting with the two best sellers by Shavit and Klein Halevy. Approving new settlement construction on the eve of his meeting with Obama wasn’t enough. 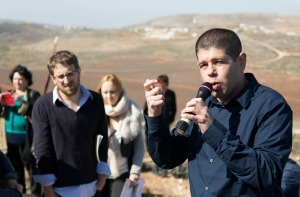 Blaming Peace Now for the White House’s criticism of settlement expansion wasn’t enough either. Prime Minister Netanyahu just had to stick a finger in President Obama’s eye by accusing him of being un-American. 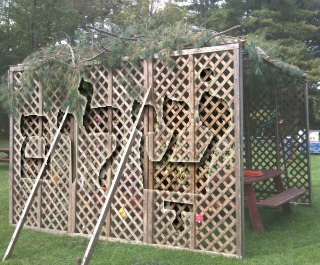 Beginning Wednesday night, October 8th, the Jewish holiday of Sukkot begins. During the week-long holiday, Jews build a special kind of home to dwell in for the week, called a sukkah. The sukkah is a deliberately temporary house, which can have no more than one permanent wall, and whose roof must be open to the sky, covered only partially by natural materials such as branches. Over the course of the week, the Sukkah is supposed to be one’s home: to eat meals in, to celebrate, and even to sleep in. Our Israeli sister organization, Peace Now, broke the news that on the eve of Rosh Hashana, when the Netanyahu government hoped that nobody was paying attention it went ahead with final approval of a plan for construction of a new settlement in East Jerusalem –2,610 housing units in Givat Hamatos. On October 1, the Israeli Peace Now movement broke the news that on the eve of Rosh Hashana, when nobody was paying attention, the Netanyahu government went ahead with final approval of a plan for construction of a new settlement in East Jerusalem – Givat Hamatos. To understand why this plan is so significant and problematic, see this analysis from Peace Now. For further dismantling of the excuses offered by Netanyahu and other settlement apologists after news of the approval came out, see this analysis from Danny Seidemann. The news of this new settlement approval – which came on the heels of the takeover of 7 new properties by settlers in Silwan – cast a pall over Netayahu’s subsequent meeting in Washington, DC with President Obama. In the wake of that meeting, and following statements from the Obama Administration condemning the new settlement approval, Netanyahu and his fellow settlement defenders/apologists apparently decided that their best defense would be to go on offense – against Peace Now. 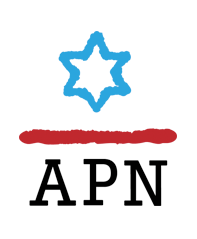 This week, Alpher offers further comments on Netanyahu's UN General Assembly speech; whether ISIS and Hamas are both "fruits of the same poisonous tree", as Netanyahu stated; how, as Netanyahu mentioned, Israel improving relations with Egypt, Jordan, Saudi Arabia and Abu Dhabi (i.e., the United Arab Emirates) in order to counter Iran and ISIS could "eventually" benefit the two-state solution; were the East Jerusalem settlement announcements a deliberate provocation by Netanyahu to humiliate Obama, or yet another case of cognitive dissonance between the two sides? Prime Minister Benjamin Netanyahu had a rough meeting in the Oval Office yesterday. President Obama chided him for Israel’s settlement activity in the West Bank and East Jerusalem. Right after the meeting, administration officials provided a glance into what Netanyahu probably heard from Obama. New settlement activity “will only draw condemnation from the international community, distance Israel from even its closest allies, poison the atmosphere not only with the Palestinians, but also with the very Arab governments with which Prime Minister Netanyahu said he wanted to build relations,” said State Department spokeswoman Jen Psaki. Netanyahu was fuming as he left the White House for New York, where he told Israeli reporters who he thinks is responsible for the rocky meeting with President Obama.